On September 18, 2018 at 10.30 am. 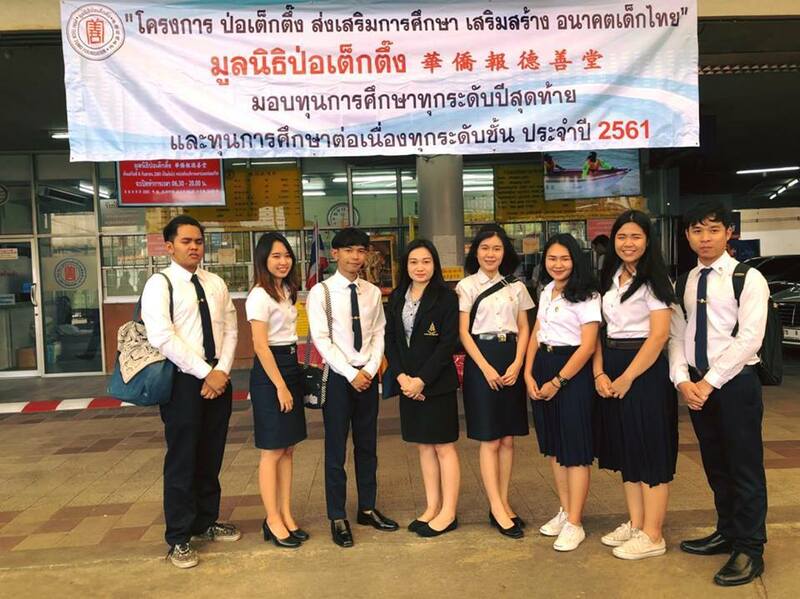 Meeting Room, 2nd Floor, Building 2, POH TECK TUNG FOUNDATION, organized the project "Promoting education for the future of Thai children. 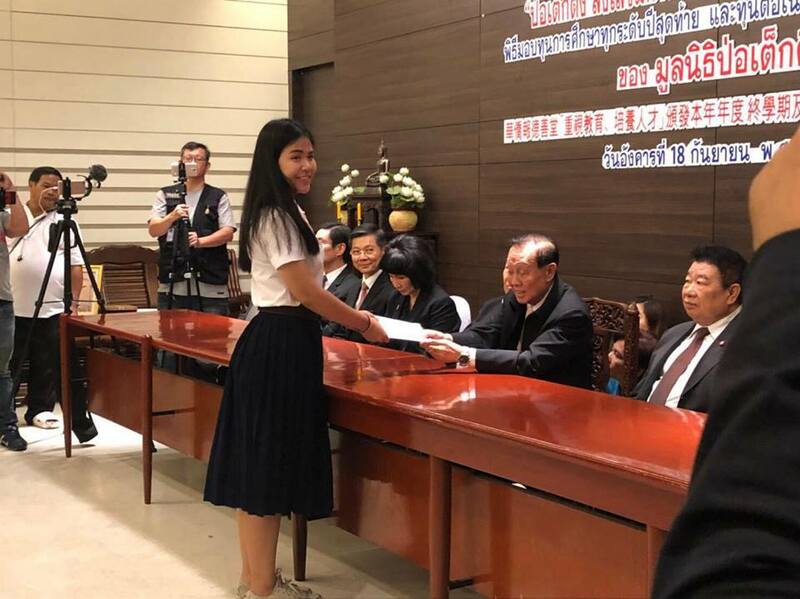 "by Mr. Vichien Techapaiboon, Chairman He presided over the ceremony of awarding scholarships to all levels of the final year and continued to grant scholarships to all levels in the year 2018 to provide scholarships to underprivileged students. 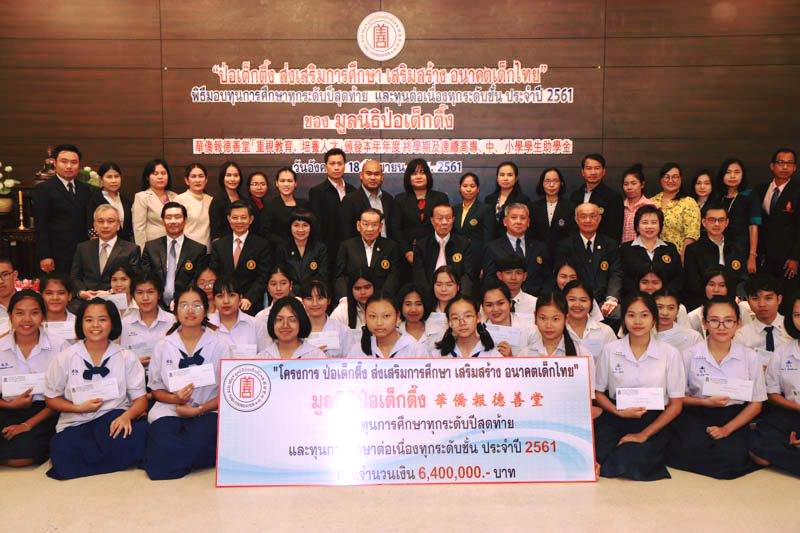 There are students of Suan Sunandha Rajabhat University get an undergraduate scholarship final year is 5 scholarships worth 22,000 baht each and two scholarships worth 25,000 baht each by Miss Kingkarn Chansiri is a 4th year student of Performing Arts (Thai Dance), Faculty of Fine and Applied Arts get an undergraduate scholarship (last year).